The Immaculate Heart of Mary statue in the Sacred Devotions Collection is a true work of spiritual art. Inspired by Old-World European artisans, it is exquisitely crafted, hand painted with vibrant colors and highlighted with gold accents. The garment is embossed with a fine brocade pattern to give it a unique look and rich texture. It is elegantly set upon an ornamental base. 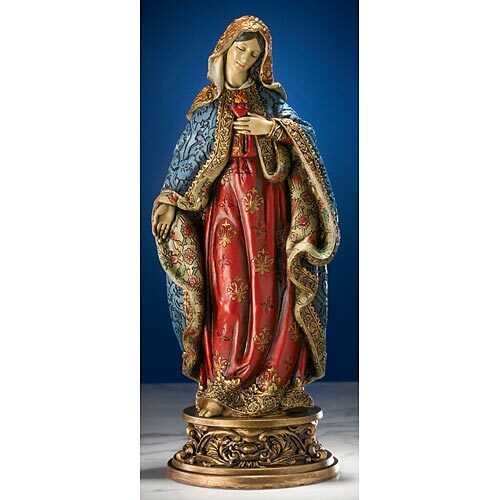 This statue come packed in a gift box and makes an ideal devotional gift for friends and loved ones.